An appeals court has reversed an earlier ruling by a federal judge in Maryland in favor of Morgan Stanley and one of its brokers in a suit that claimed his recommendation on an annuity distribution resulted in less-favorable tax distribution for the plaintiffs, according to court documents. In January, Judge Paula Xinis had agreed on principle with plaintiffs Brandon Berkenfeld, Barbara Holland-Eytan and Sandra Ricki Diamond, who claimed in an April 2016 suit that a recommendation by Morgan Stanley advisor Gary Lenet that they take lump-sum annuity distributions resulted in $287,000 in tax liabilities even though other options were available. According to Xinis, the plaintiffs didn’t seek independent tax advice on the recommendation, even though Lenet had told them to do so and the forms to process the distribution showed other available choices. But last week, the U.S. Court of Appeals for the Fourth Circuit reversed Xinis’s decision, according to court documents. According to the appeals court, the plaintiffs relied on Lenet’s recommendation to take the lump-sum distribution believing that it was their only option. “On these facts, it is not clear that [a] person of normal intelligence would know and understand a financial danger that was specifically disclaimed by a top-tier financial advisor,” the court wrote. 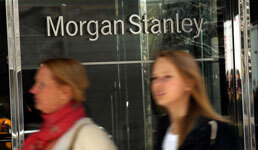 Morgan Stanley and Lenet must now defend the lawsuit. Lenet has been in the financial services industry since 1973 and with Morgan Stanley since 2009, according to his BrokerCheck profile. He is still registered with the firm, according to BrokerCheck.